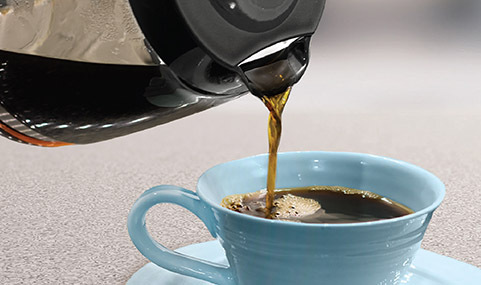 The BLACK + DECKER™ 12-Cup* Programmable Coffeemaker is engineered to use optimal water temperatures to brew delicious coffee whenever you need it. Auto brewing is easy using the large programming buttons and the digital display, plus you can customize brew strength and size. Other useful features include: Evenstream™ Showerhead, Sneak-A-Cup™, Perfect Pour™ glass carafe, and washable brew basket. The sturdy 12-cup* carafe has measurement markings for accurate filling and an easy-grip handle for comfortable pouring. 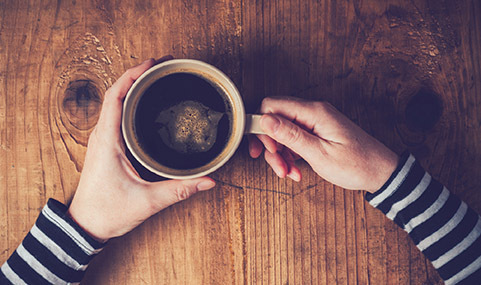 This setting optimizes water temperature and brew duration to maintain coffee’s flavor and strength in smaller brew sizes. Remove mineral buildup with the efficient self-cleaning function. 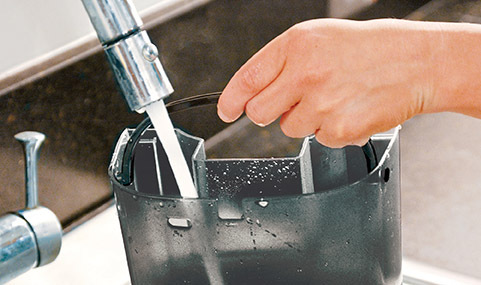 The removable water reservoir is easy to fill up under the faucet, with clear level markings for brewing the perfect amount of coffee. The 12-cup* glass carafe is designed to reduce dripping and keep your counters spot-free. 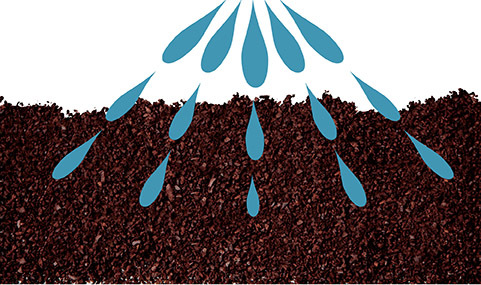 Engineered to provide even saturation across all coffee grounds for optimal flavor extraction. The reliable auto shutoff feature provides peace of mind when you leave the house each day. 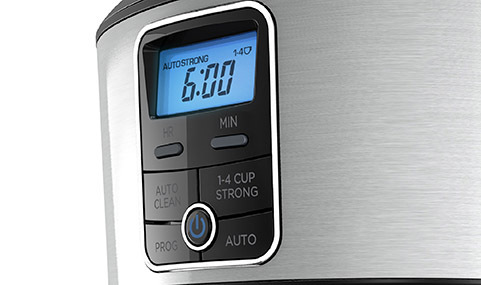 Easily set the time and program the auto brew feature with large, clearly marked buttons. 12-Cup* Programmable Coffeemaker, Silver is rated 2.0 out of 5 by 82. Rated 1 out of 5 by DVialpando from Another CHEAP-O Coffee Maker Steam leaks out of the reservoir, coffee grounds get into pot, auto stop does not work. What in the heck do I have to do to not have a junk coffee machine? I guess spend $$$. THANKS FOR NOTHING B and D!! Rated 1 out of 5 by VDubs25 from Everything that can go wrong, does My husband bought this coffee maker because of all the great features it claimed to have, yet we soon realized that none of them worked as they should. The shower head fills the basket faster than it can drip into the pot, resluting in grounds in my coffee every day. The sneak a cup feature doesnt exist as there is still a flow when I take the pot out. Even after it is done brewing there is coffee dripping all over the burner when I pour a cup. Removing the water tank is more of a hassle than filling the tank with the pot itself, even though it causes water to go everywhere. I have used this coffee pot for 2 months thinking it was new and the kinks would work itself out. I will be purchasing a new coffee pot this week amd this one is hitting the garbage. Very disappointed at the quality from a name like Black and Decker. Rated 1 out of 5 by Disappointed in BD from Two quit working within 2 months. First one worked for a month. The replacement about 3 weeks. Any overflow such as attempting to get a cup before it’s done brewing will cause the heater to quit working . Apparently any water on the heat plate leaks below and blows the thermal fuse. Don’t purchase! Rated 1 out of 5 by Mary528 from Wretched coffee maker Purchased roughly 4 months ago. We were shocked at how LOUD it is when it's brewing, which was really awful for a few weeks as it regularly woke us up before the alarm clock. We got used to that, but it's still insanely loud and popping while brewing.Then, there's the "sneak a cup" feature that implies you can pour a cup mid-brew with no problems. Wrong! 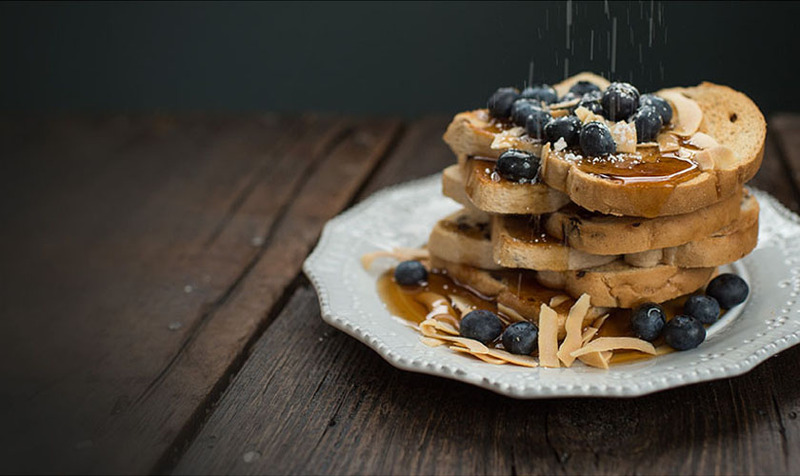 It drips ridiculously, which then either needs to be quickly wiped off of the hot plate or you replace the carafe and damage the bottom.Now let's discuss the "perfect pour." This is laughable at best. Be prepared to go through a lot of paper towels or dish rags. Not once has this thing poured perfectly. If you use the carafe to fill the reservoir, it spills everywhere. When you pour a cup of coffee, drip drip spill spill, clean clean. And lastly, the auto brew feature. Works great, but you can't tell if it's on or not unless you get right up to it and turn a light on. For this price, I'd like to be able to peak into the kitchen and see a light on indicating that my tired brain remembered to turn auto brew on.Worst coffee maker ever and likely to be replaced in the near future, even though it technically "works." Rated 1 out of 5 by Walter from It’s brand new and it leaks all over the counter. This thing is brand new and headed for the trash. The resevoir leaks water where it connects To the coffee maker body. I set mine upmto brew overnight and when I come down in the morning there is a mess. Rated 2 out of 5 by gshutch from Good except for grounds in coffee I like the coffee maker. It has just the features I need and is easily programmable. BUT, the grounds in the coffee will be a deal breaker. I know I'm using the correct filters and there's only one way to position the basket, yet after brewing I can see that the hot water is running into the basket faster than the coffee is running into the pot. Coffee and grounds run over the top of the filter into the pot. I don't understand why this is happening.Based on this issue I can't recommend it to anyone. Rated 1 out of 5 by mikencrystal from "Pop!" "Pop!" "Pop!" at 6:30am We've had this coffee maker for a little over a month. Over the last couple of weeks, it's begun to make a loud popping noise while it brews, and is getting worse every day. My wife and I are on different work schedules, and it's so loud that it wakes her up. I haven't found any answers by searching the internet. I should have checked the reviews before I bought this coffee maker. I'm very disappointed. Rated 1 out of 5 by sickofpayingforfjunk from Fell apart in less than a week. The little spring that connects the filter basket to the the little black plastic stopper(?) became disconnected and will not reattach--so now when you remove the coffee pot from the unit, the spring and and stopper just fall out and coffee pours out every where. I bought this on Friday and it's now Tuesday morning. 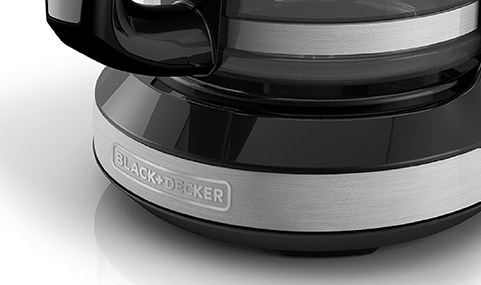 I'm so disappointed that a name like Black & Decker now means nothing. How to set timer for next morning? I really love this coffeemaker, but I just have one question, why does the cleaning light start flashing every 4-5 brewing cycles? I do not need to clean this coffeemaker that often because I use spring water. It is so annoying. Bought this not too long ago and need a replacement carafe. Is there really no replacement carafe for the CM4100S?